Characterization of superconducting samples by measurement of the « Residual Resistivity Ratio » (RRR) (Φ ≤ 0.15 m, h ≤ 1 m, 4.5 K ≤ T ≤ 300 K) and measurement of the first critical field HC1 (Φ ≤ 0.3 m, h ≤ 1.33 m, 2 K ≤ T ≤ 40 K). LabCaF devices are mainly used in the framework of R&D projects (in the early stages). For example, they were used for the characterization of nano-composite superconductors in the framework of the EuCard-2 project (measurement of the first critical field HC1 by local magnetometry). Industrial services were also performed at the LabCaF (in particular on the RRR experiment). 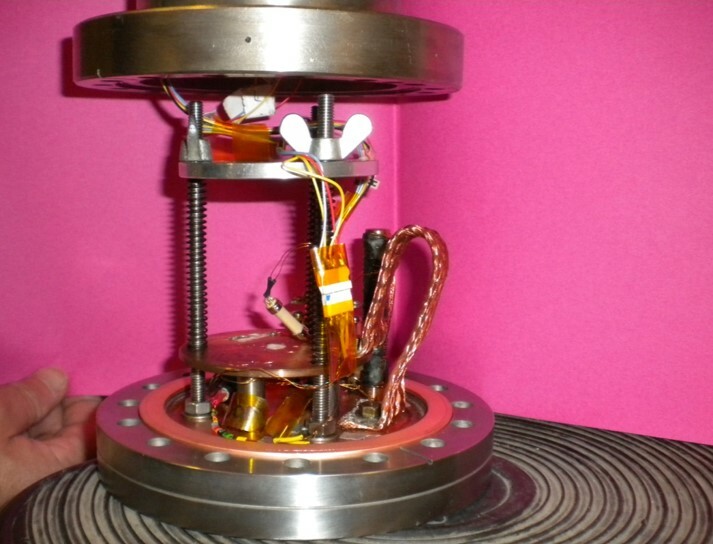 Remark regarding HC1 measurements: some connections (electrical circuit, instrumentation…) can be done under a mounting plate, before placing the removable bottom insert in the cryostat. Data acquisition (2-3 hours for RRR measurements, one day for HC1 measurements).